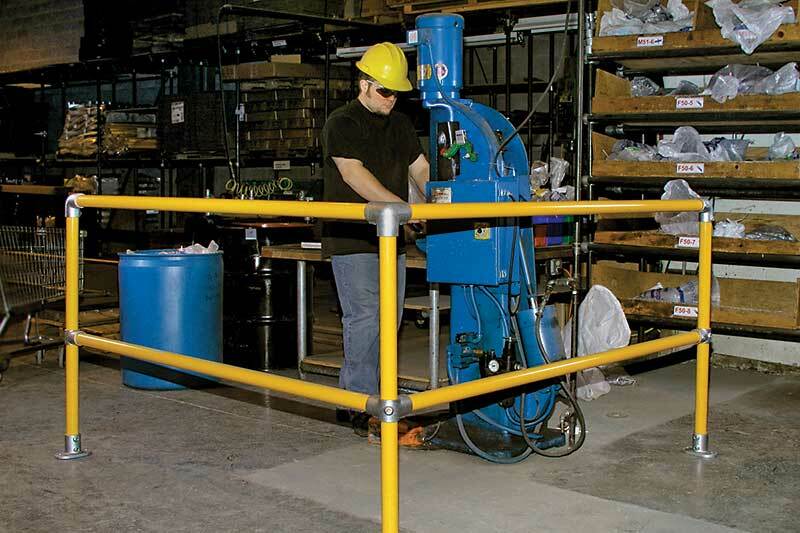 The FlexKit railing system is an easily assembled, sturdy railing system that requires no welding or threading. 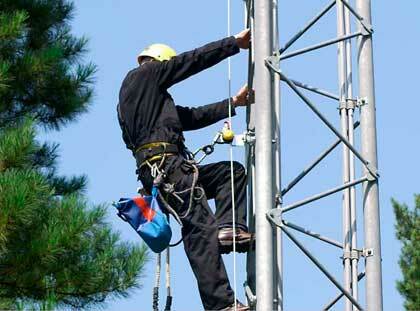 Installation is fast due to the system’s pre-assembled components. 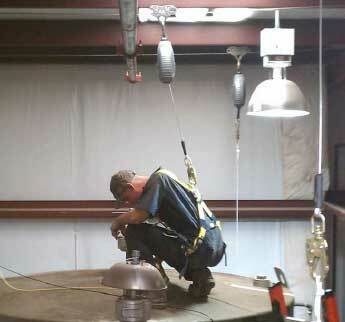 Elbows, crosses and tees arrive prefitted to the upright pipes. 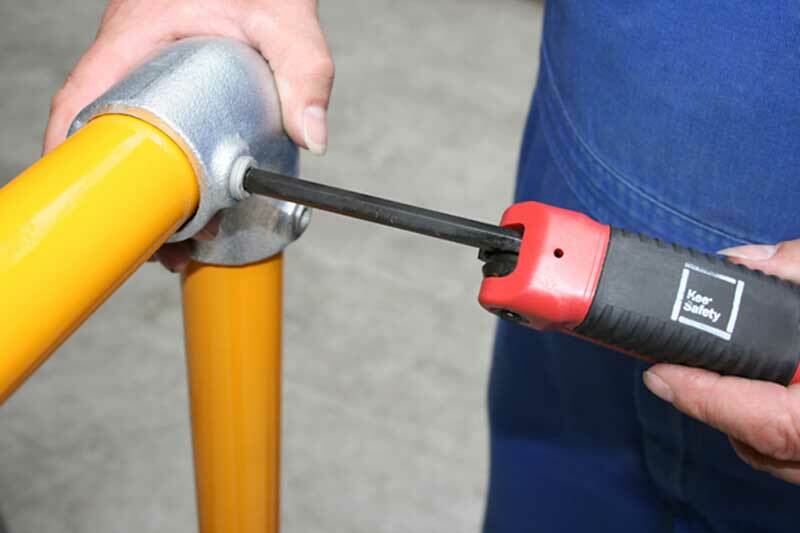 Assembly of the he FlexKit railing system only requires a standard hex tool to tighten the set screws. 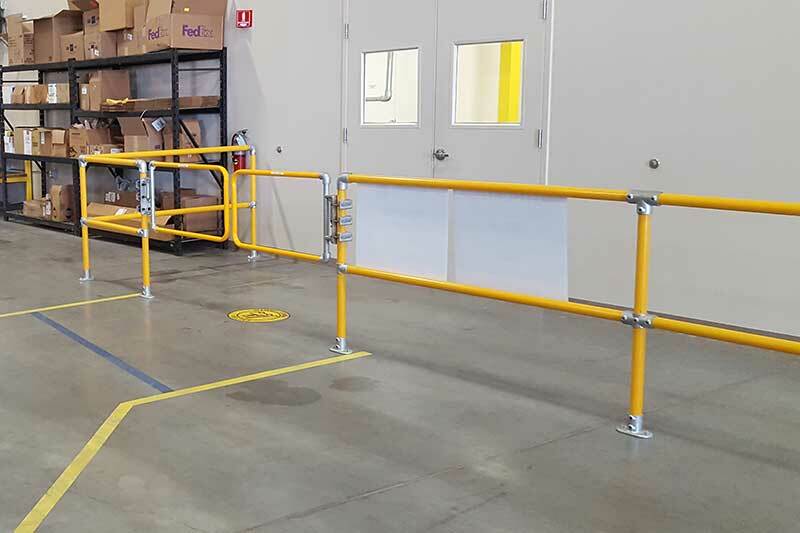 Almost any standard railing configuration can be achieved with FlexKit by ordering the right combination of kit components. 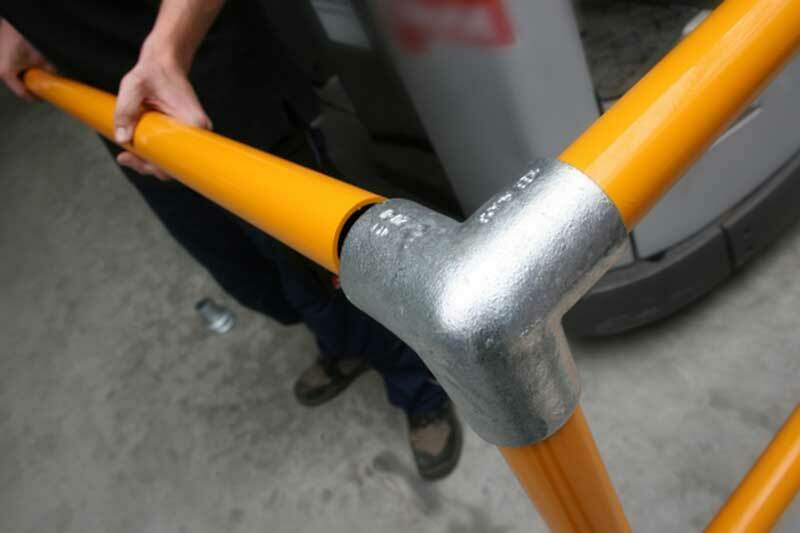 FlexKit can be secured using bolts or chemical anchors, and FlexKit rails can be cut where shorter sections are needed. 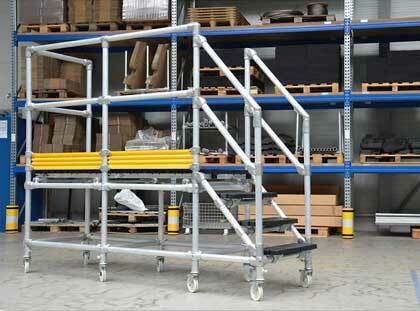 Everything you need for the FlexKit railing system arrives included in a single box. 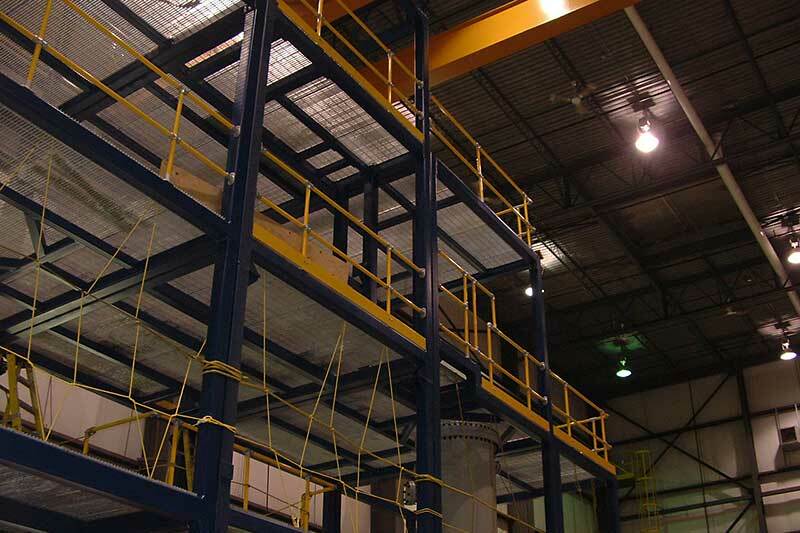 The railing system is broken down and shipped flat to save on freight costs. 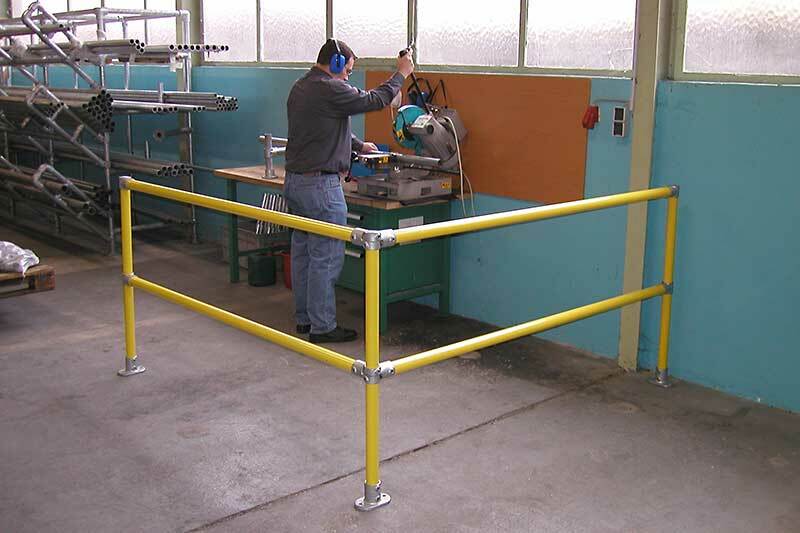 FlexKit safety railing systems utilize reliable fittings that exceed OSHA requirements for safety railings. 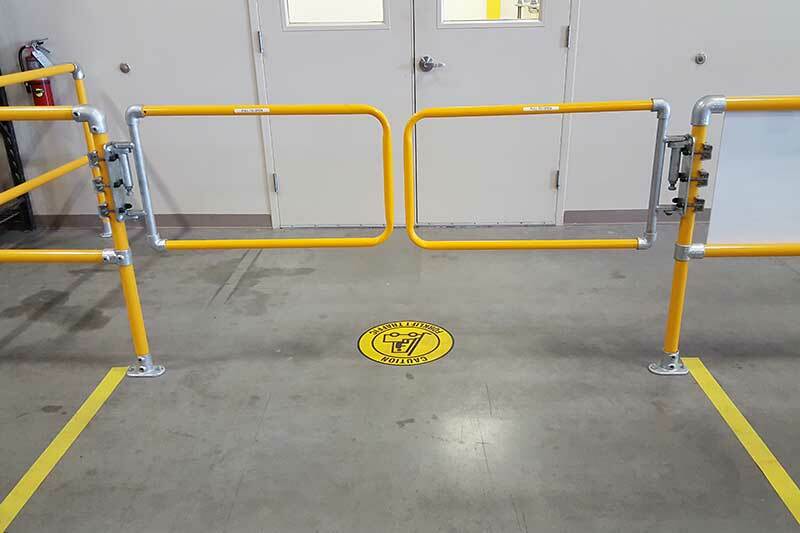 The railings ship standard in Safety Yellow, are 42” inches high and have 6 feet of spacing between posts. 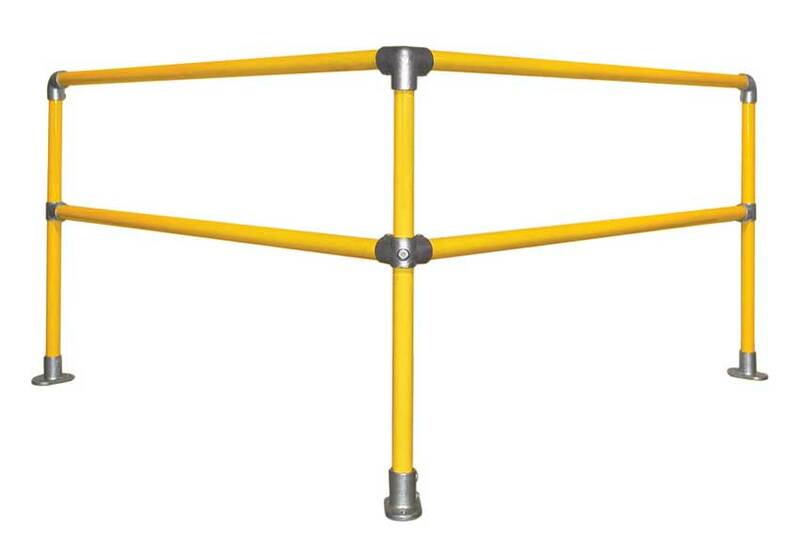 The pipe has an outside diameter of 1.90”. 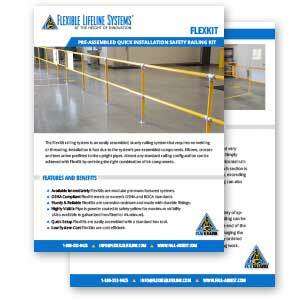 FlexKit safety railing also meets OSHA requirements for toe boards. 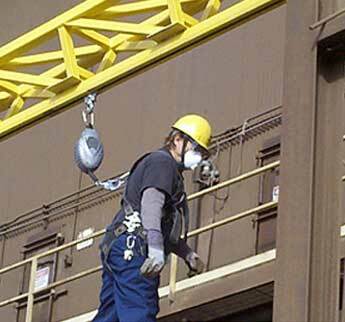 The stainless steel toeboard hardware is included in with FlexKit and is easy to install with no drilling or welding. 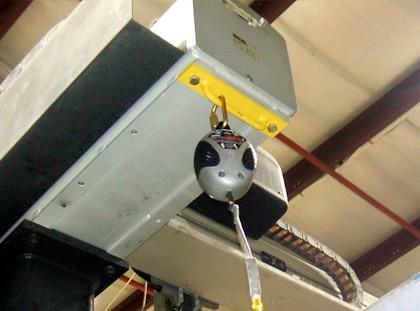 The flange attaches directly to the toe plate for greater rail stability. 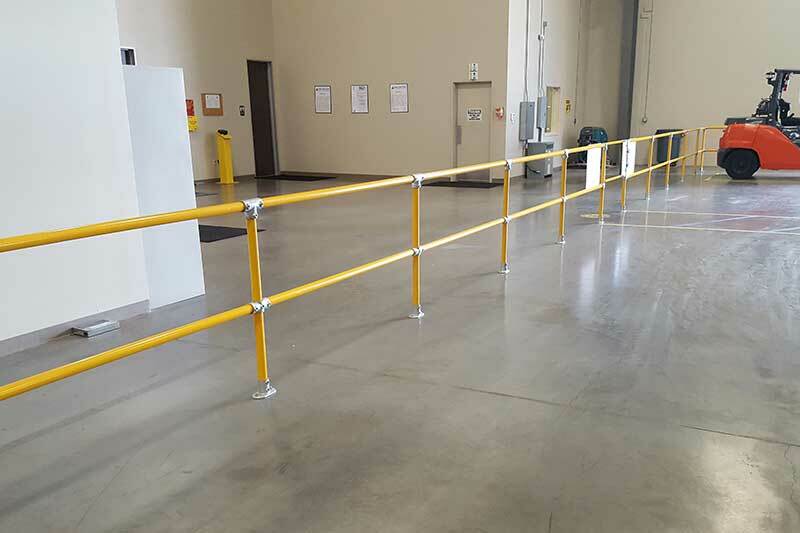 Railing is frequently required to meet safety standards in both warehouses and on loading docks. 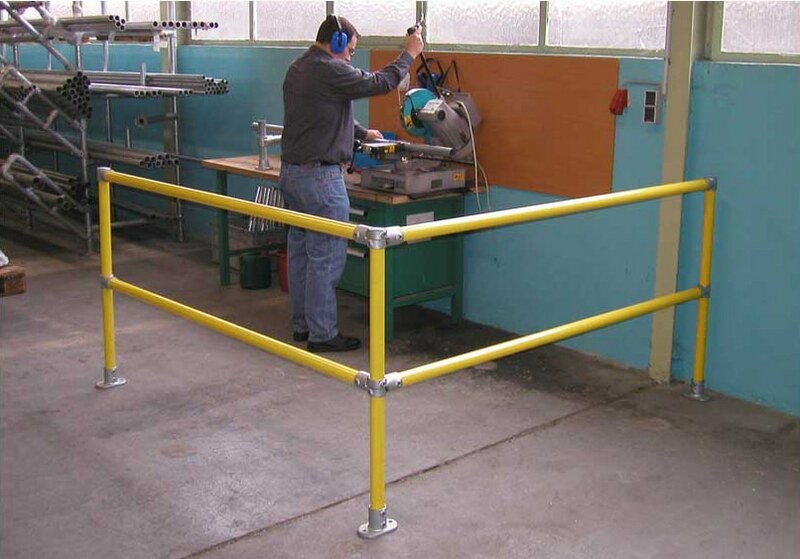 Hazards are abundant in both areas and safety railing can be used for a number of different purposes. 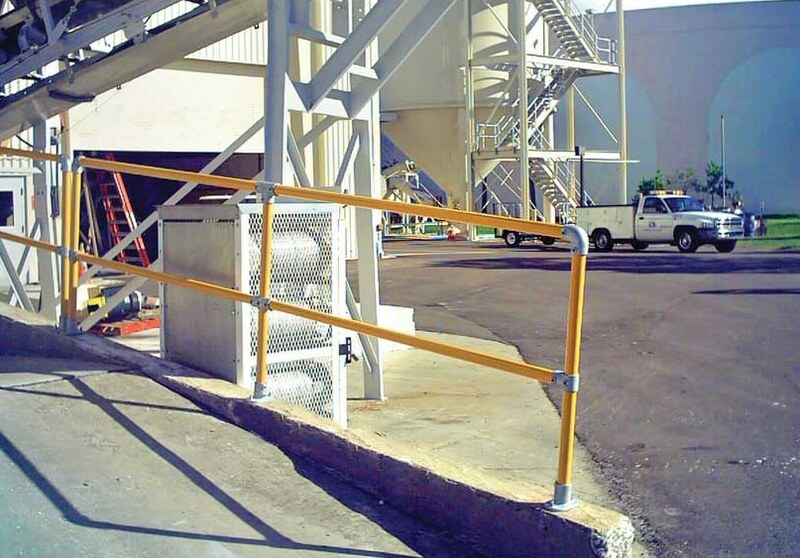 Safety railing can be used to protect people from falling from the end of the dock where truck pulls up. 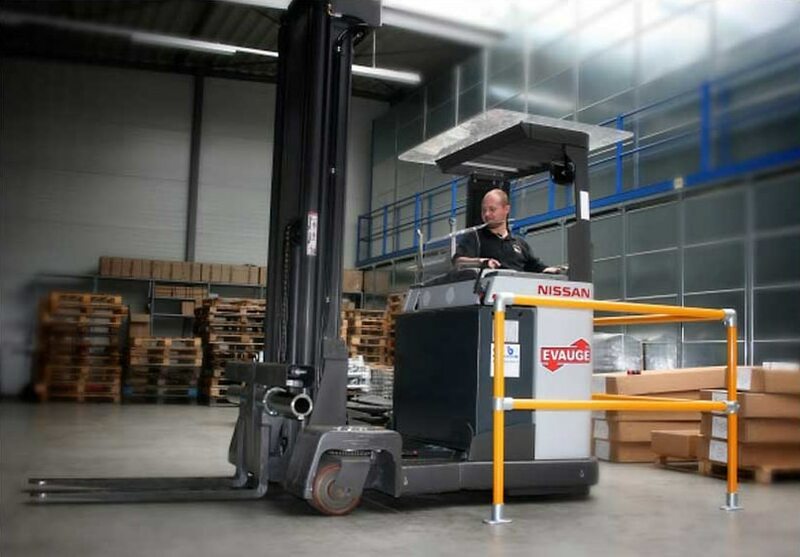 And safety railing can be used to protect pedestrians and workers from forklifts and other moving warehouse vehicles. 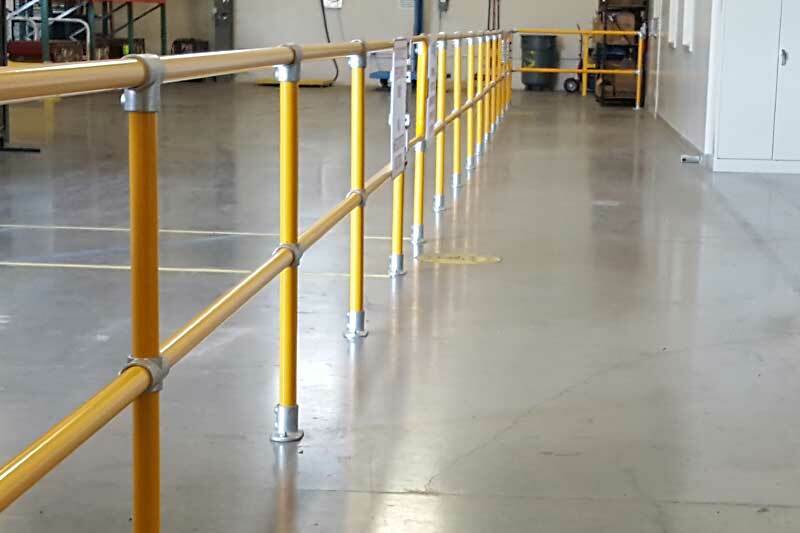 FlexKit railing is pre-powder coated in highly visible safety yellow. 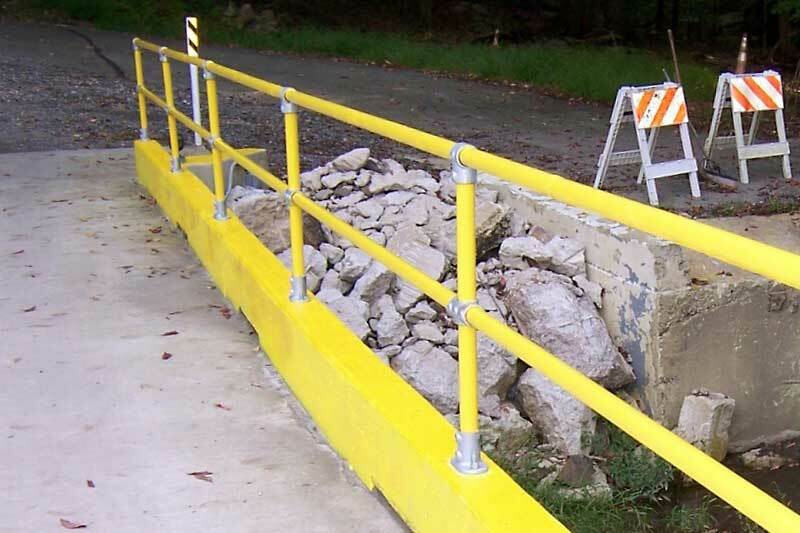 A galvanized coated layer is underneath the paint to protect the railing if the paint is chipped. 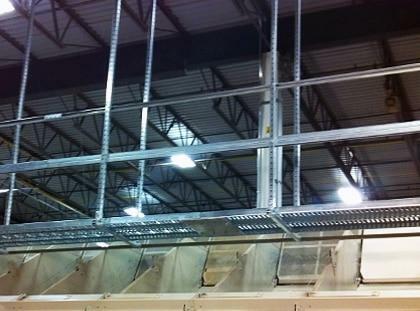 FlexKit Sections are easily to ordered and installed. 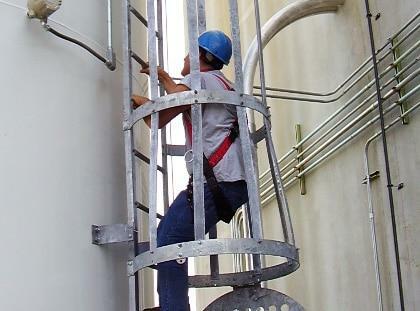 Each kit arrives partially preassembled. 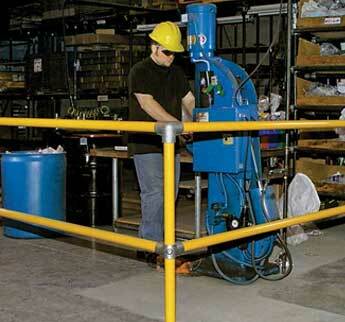 It’s easy to replace damaged railing sections. 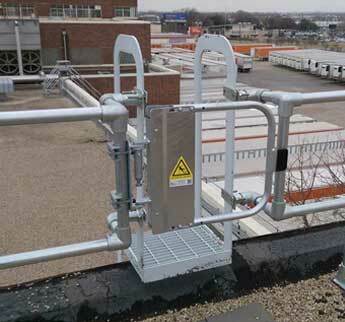 When railing is damaged, a replacement section can be quickly ordered and implemented without expensive welding work. 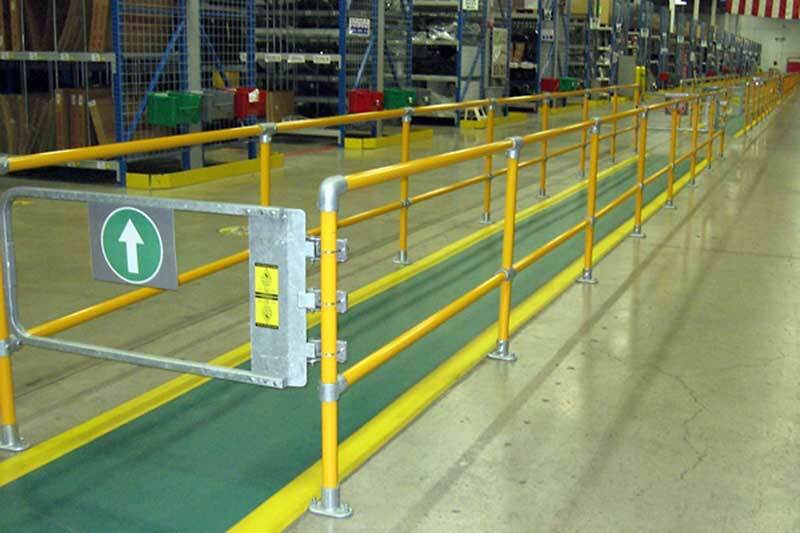 For warehouse safety, railing can be installed very quickly. 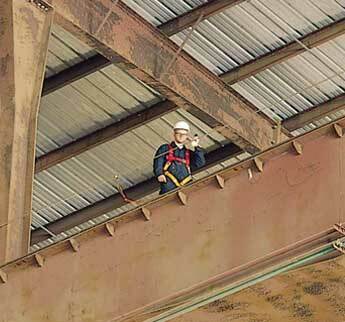 The uprights arrive preassembled. 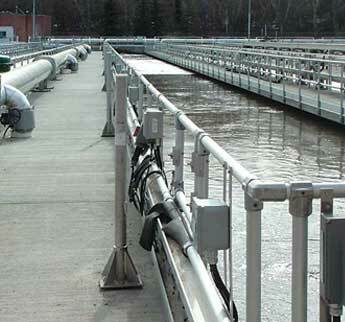 Simply mount the bases to the floor, attach the horizontal railing pipes and the railing is ready for use. 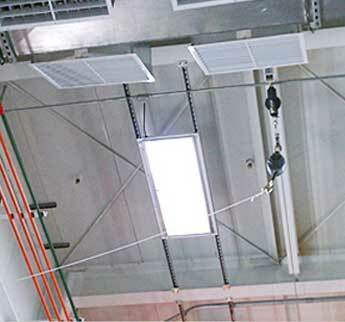 Each section is designed with industry standard 1-1/2″ pipe, exceeding OSHA top rail load requirements. 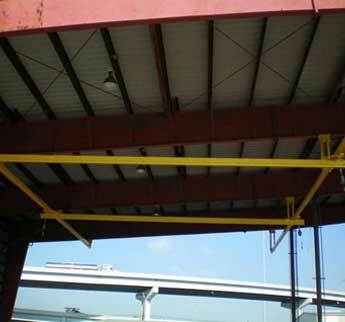 The railing can also be easily removed when necessary. 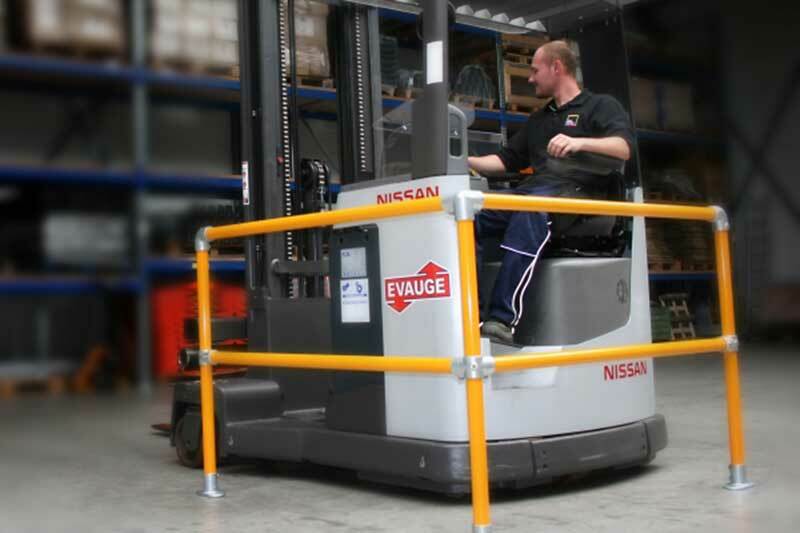 This is very helpful in warehouses where safety railing sometimes needs to be temporarily removed for access. 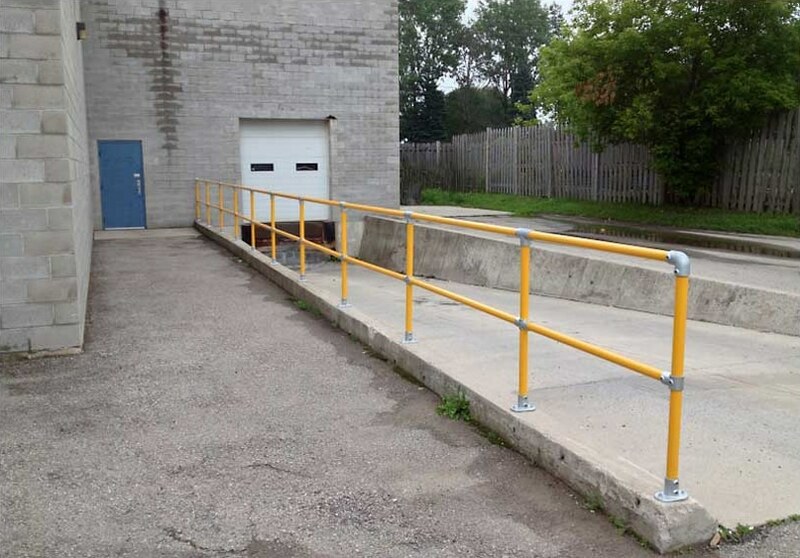 The base of the railing stays in place so the railing can be reattached once access in no longer required and safety parameters need to be reestablished.